Grades are really important to evaluate students and crucial to analyse their capacity, mentality and rank in class. This gives educator a perspective on how to deal with each individual students while ensuring proper impartation of knowledge. Earlier, teachers relied on paper report cards to mark and distribute grades to students. This put students mark sheets in open which made low performing candidates prone to discouragement and low self-esteem. While teachers were obligated to distribute the report in open, they preferred much discreet and simpler ways to conduct the procedure. This necessity urged educational scholars to adopt technology and create online Gradebooks. 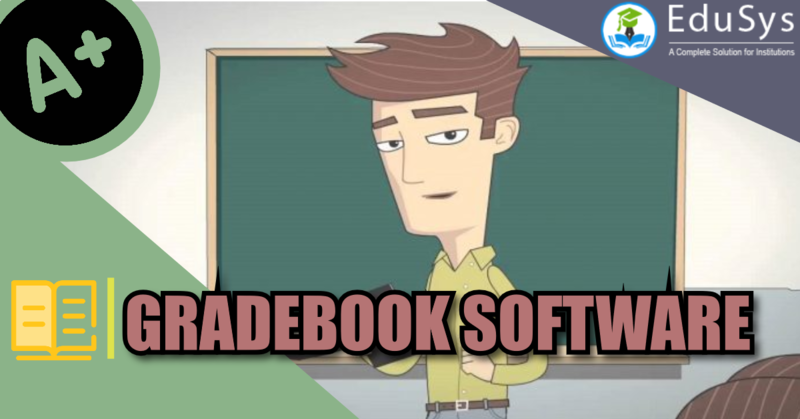 Gradebook is electronic adaptation of notebook that fill in as a unique interlink between educators and students. Therefore, empowering instructors to track the headways and scores of all students from elementary, K-12, high school to college level. EduSys Gradebook is a cloud-based application with special centre tool for teachers to make, store, convey and review data, spreadsheets and exam results of students online on the web. It has been planned on the equivalent back-end with technological highlights and upgrades.